11-year-old Faisal (left) a refugee from Daraa, Syria at a Makani Center in Amman, Jordan. supported by supported by UNICEF and the EU Regional Trust Fund ‘Madad’. Faisal was shot in the head while playing outside with his friends. 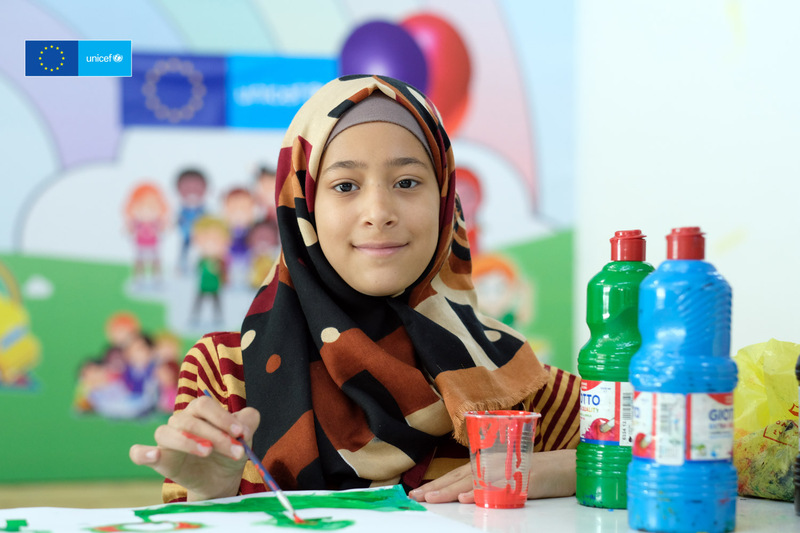 12-year-old Nagham from Syria at a Makani Center in Amman, Jordan supported by UNICEF and the EU Regional Trust Fund ‘Madad’. 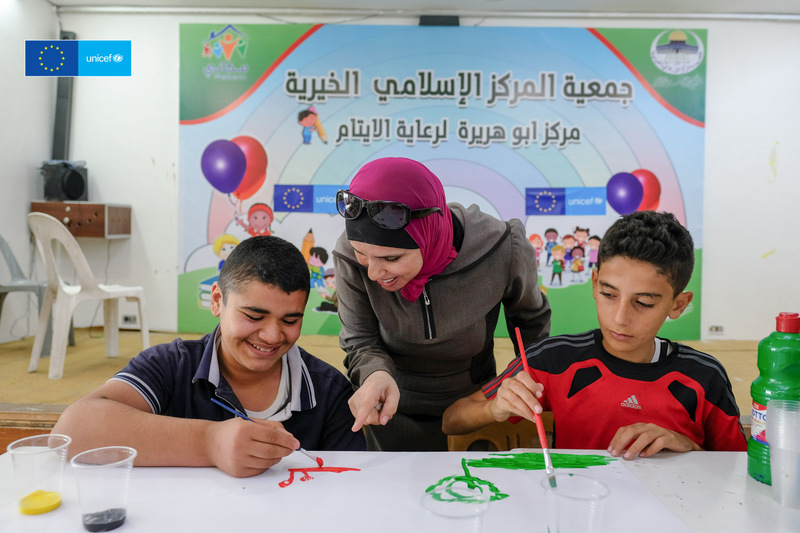 11-year-old Faisal (left) a refugee from Daraa, Syria at a Makani Center in Amman, Jordan supported by UNICEF and the EU Regional Trust Fund ‘Madad’. Faisal was shot in the head while playing outside with his friends. 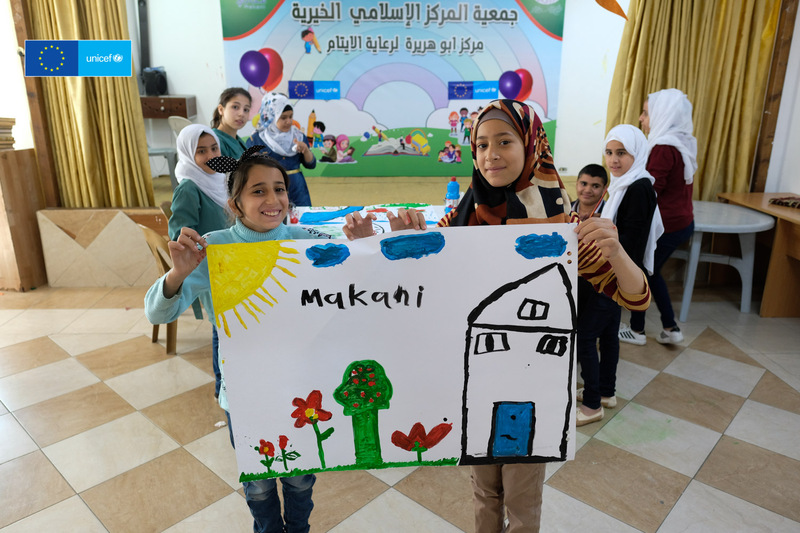 12-year-old Rawan aged (right) and her sister Bayan show the painting they have made at the centre supported by UNICEF and the EU Regional Trust Fund ‘Madad’. 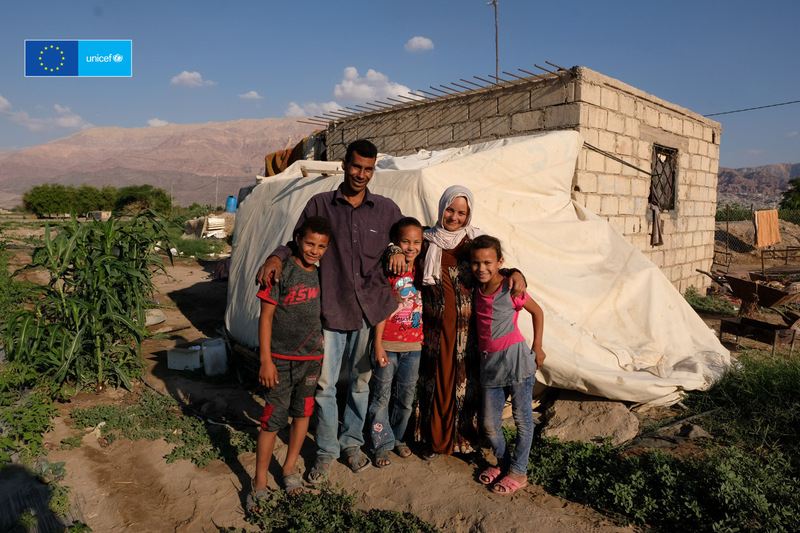 30-year-old Asia with her children Naema,9, Farah,7 working in the field they are employed to look after in the Jordan valley. 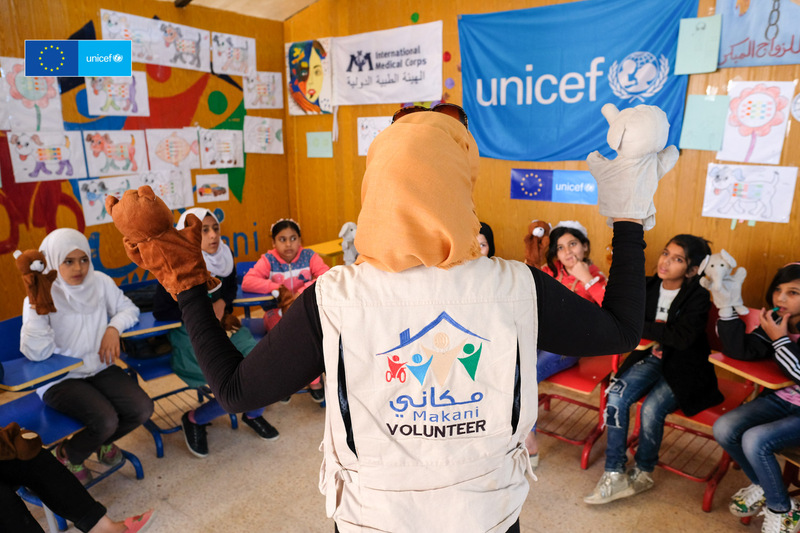 The Makani Centre supported by UNICEF and the EU Regional Trust Fund ‘Madad’ in Mafraq, Jordan. 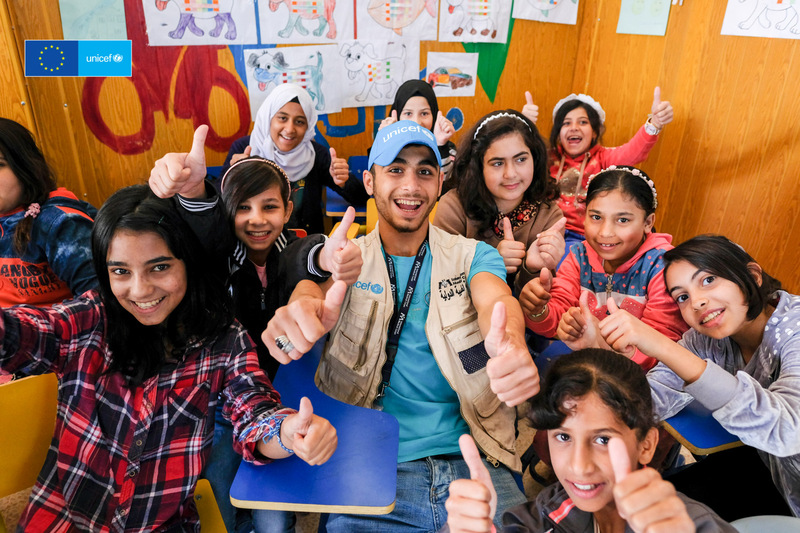 18-year-old Hazar has become a IMC/UNICEF volunteer since we last saw him last year. 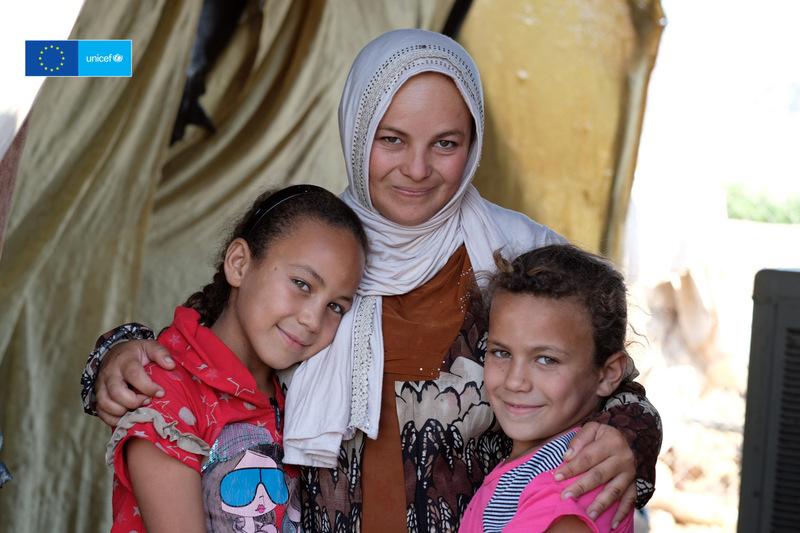 35-year-old Asma’a from Damascus, Syria is a volunteer teacher at the Makani Centre run by IMC and supported by UNICEF and the EU Regional Trust Fund ‘Madad’ in Mafraq, Jordan. She is teaching a puppet workshop. 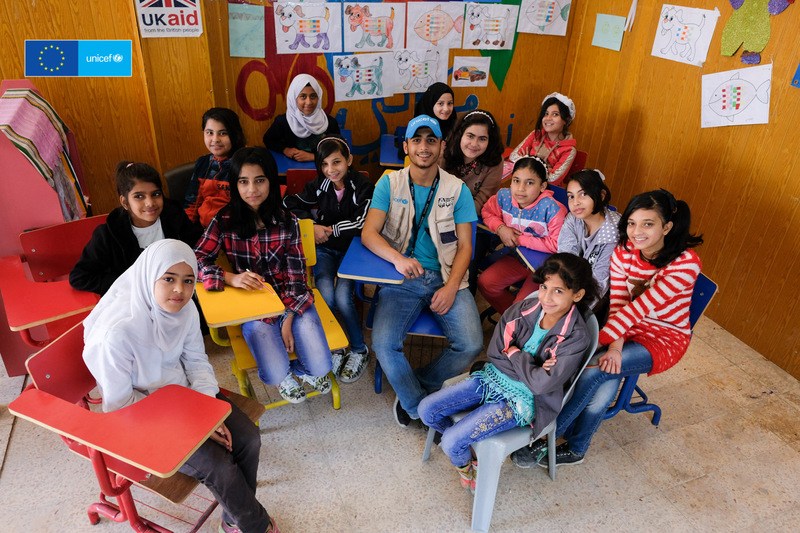 The Makani Centre run by IMC and supported by UNICEF and the EU Regional Trust Fund ‘Madad’ in Mafraq, Jordan. 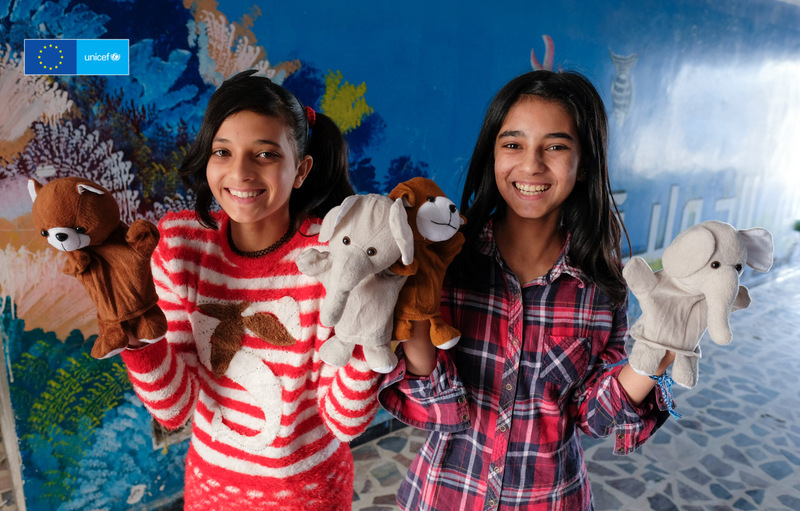 13-year-old Keram and her sister 14-year-old Salam at the Makani Center in Mafraq, Jordan run by IMC and supported by UNICEF and the EU Regional Trust Fund ‘Madad’. 21-year-old Watheq and his brother 18-year-old Hazar are refugees from Syria at the Makani Center in Mafraq, Jordan run by IMC and supported by UNICEF and the EU Regional Trust Fund ‘Madad’. Hazar has become a IMC/UNICEF volunteer since we last saw him last year. 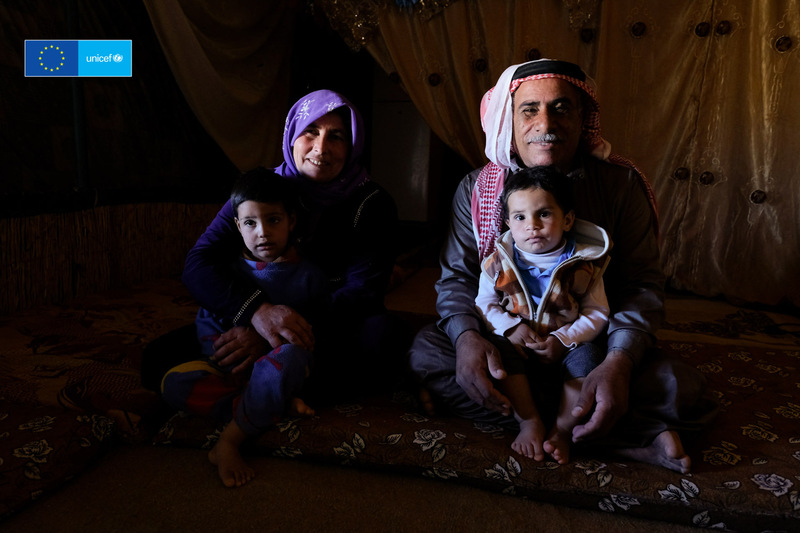 Salah and his grandson 17-months-old Hosam and cousin Aicha with her grandson 3-year-old Waseem are refufgees from Syria living in a tented community in Mafraq, Jordan. 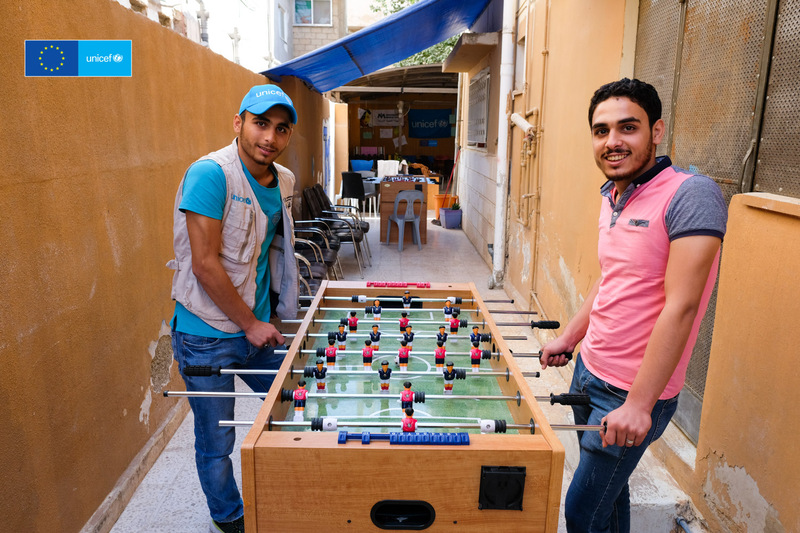 11-year-old Faisal (left) a refugee from Daraa, Syria at a Makani Center in Amman, Jordan. Faisal was shot in the head while playing outside with his friends. 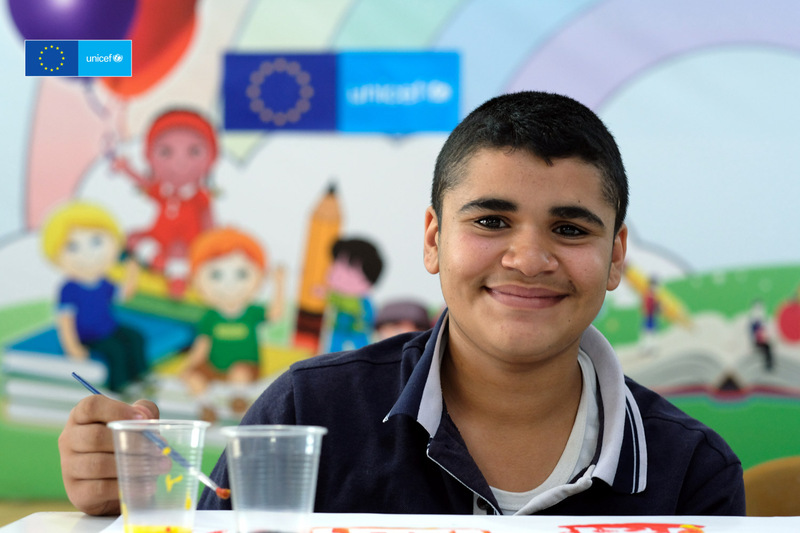 Faisal finds solace at the Makani Center supported by UNICEF and the EU Regional Trust Fund ‘Madad’. His short-term memory, however, is getting worse since last year. 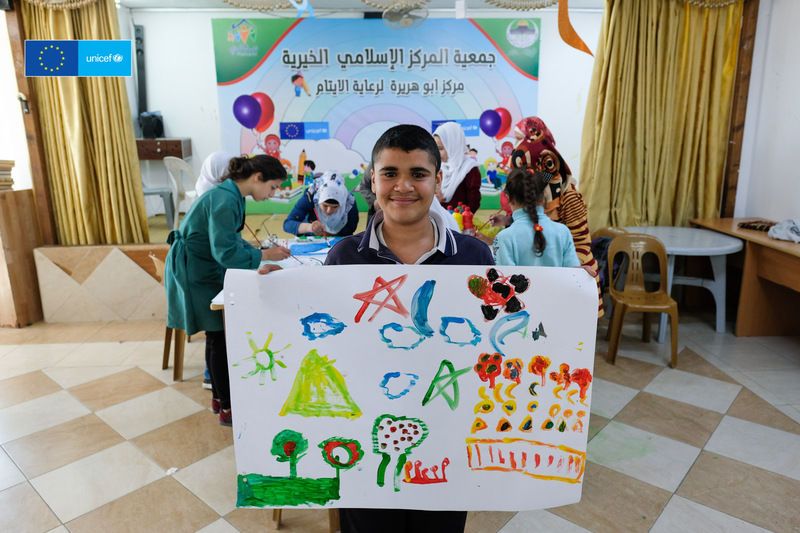 11-year-old Bayan at the Makani Center in Amman, Jordan supported by UNICEF and the EU Regional Trust Fund ‘Madad’. 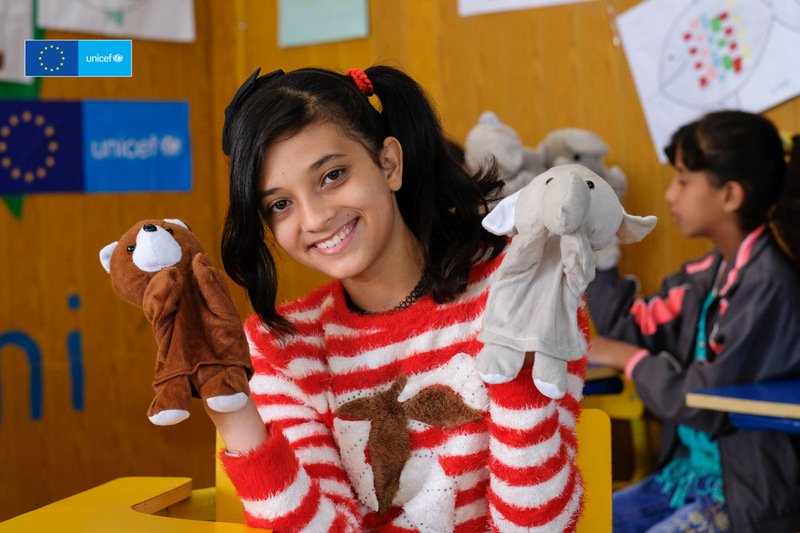 12-year-old Rawan at the Makani Center in Amman, Jordan supported by UNICEF and the EU Regional Trust Fund ‘Madad’. 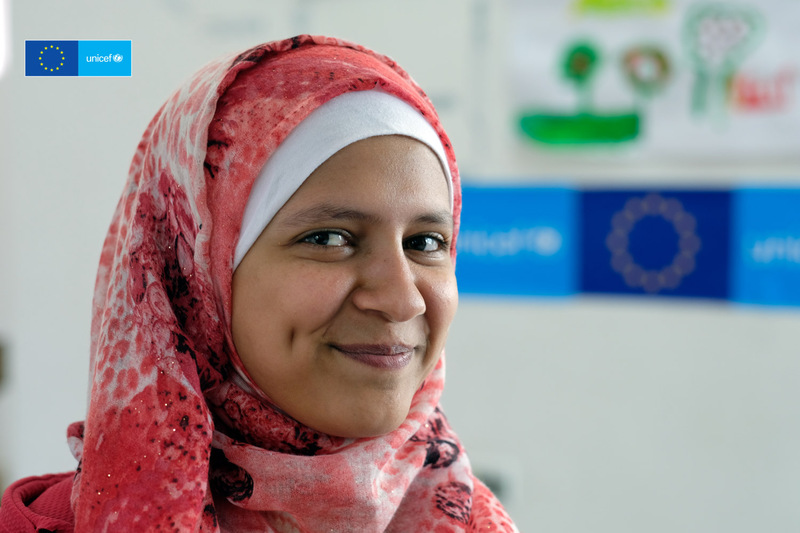 17-year-old Ayat is a Syrian refugee from Daraa, Syria. 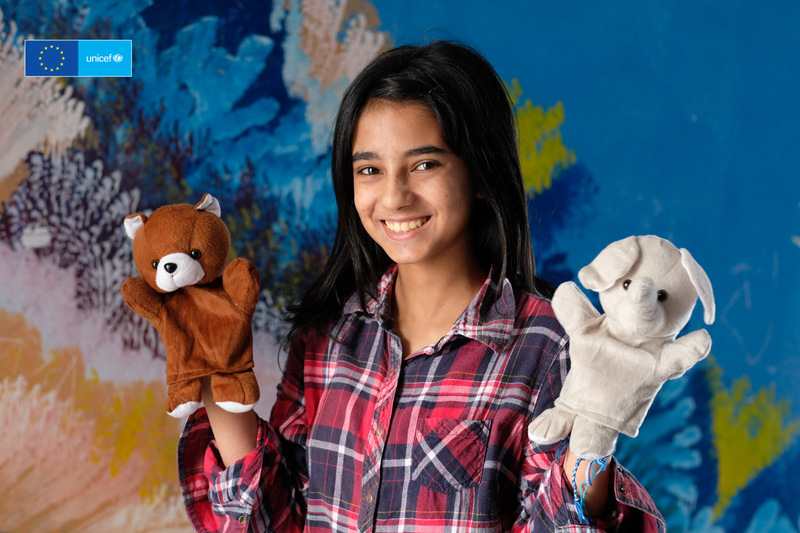 She is now a volunteer at the Makani Center in Amman, Jordan supported by UNICEF and the EU Regional Trust Fund ‘Madad’. 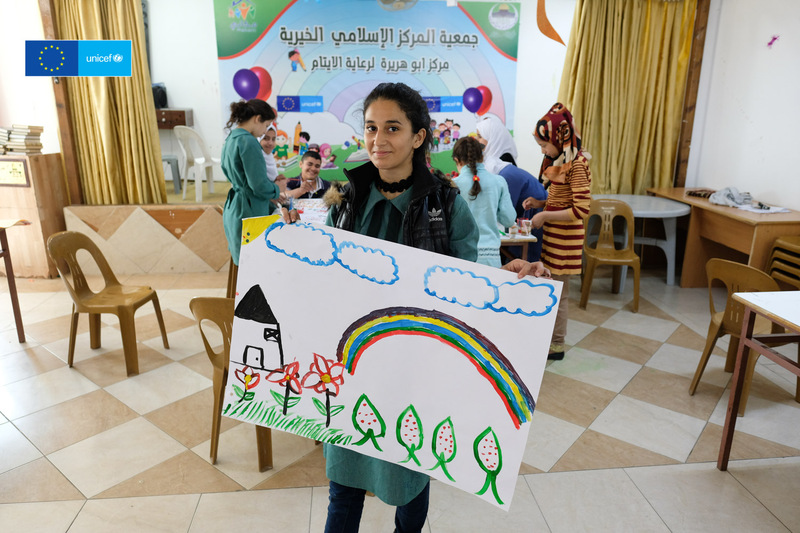 13-year-old Keram and her sister Salam from Daraa, Syria at the Makani Center in Mafraq run by IMC and supported by UNICEF and the EU Regional Trust Fund ‘Madad’. 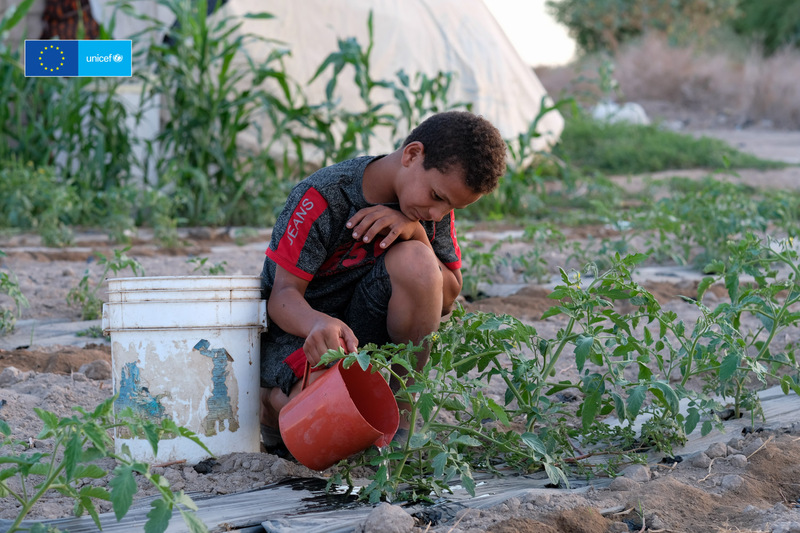 14-year-old Salam from Daraa, Syria at the Makani Center in Mafraq run by IMC and supported by UNICEF and the EU Regional Trust Fund ‘Madad’. 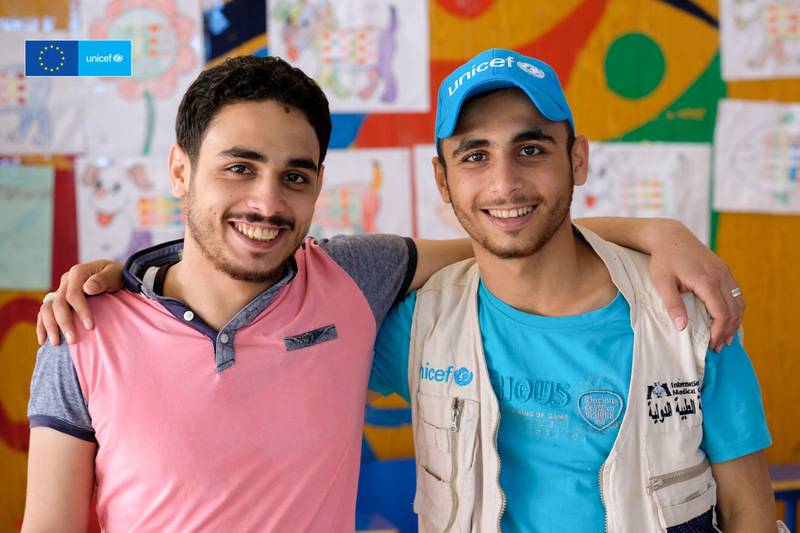 21-year-old Watheq and his brother 18-year-old Hazar are refugees from Syria at the Makani Center in Mafraq, Jordan run by IMC and supported by UNICEF and the EU Regional Trust Fund ‘Madad’. Hazar has become a IMC/UNICEF volunteer since we last saw him last year. 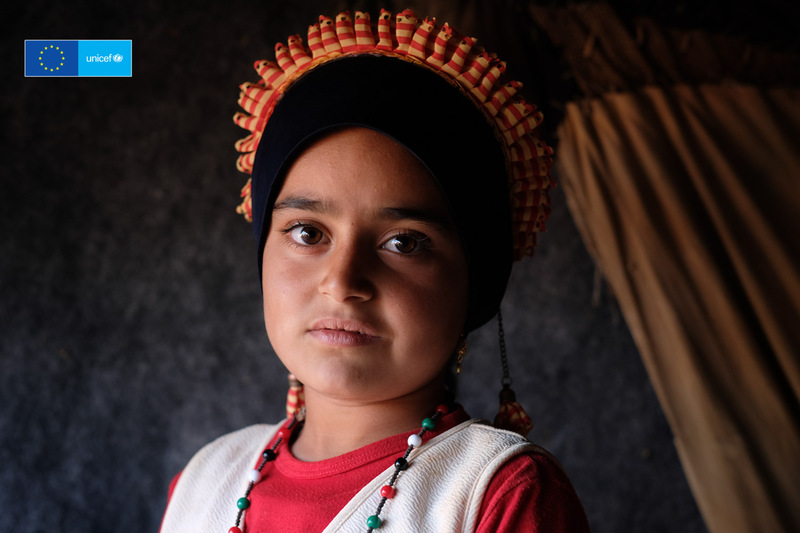 9-year-old Hoda is a refugee from Hama, Syria living in a tented community in Mafraq, Jordan. 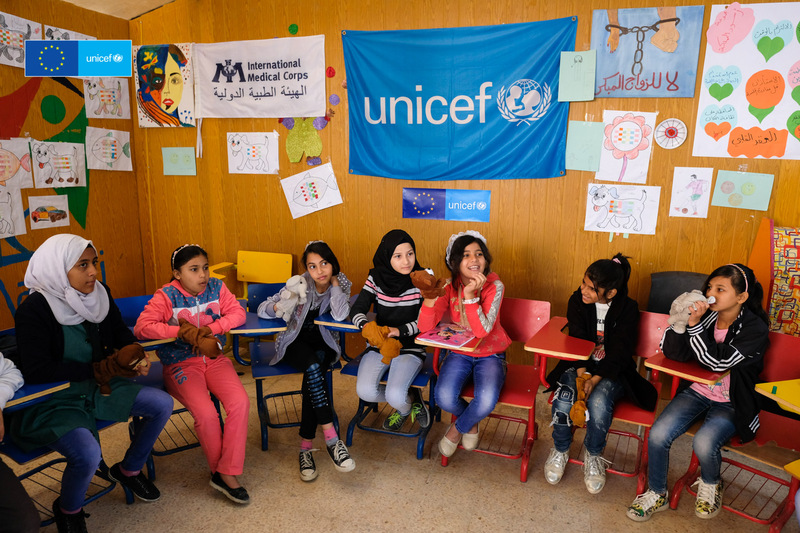 UNICEF and the EU Regional Trust Fund in Response to the Syrian Crisis, also called the Madad Fund, are reaching hundreds of thousands of children and young people affected by the war in Syria. The collaboration – with the support of partners and host communities – is providing children and young people with access to education, protection against harmful practices, psychosocial support and a say in shaping their own futures. 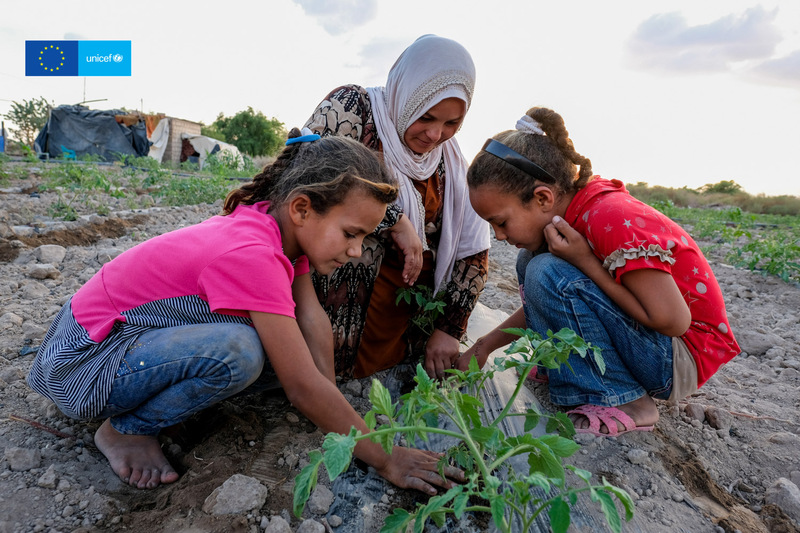 Both refugee children and youth and vulnerable host communities benefit from the assistance. The main priorities are to promote educational, protection and engagement opportunities for children and young people in line with the No Lost Generation initiative, improve lives and strengthen communities by investing in young people and children so they can become the doctors, lawyers, engineers and teachers who can help strengthen their communities and rebuild their country. 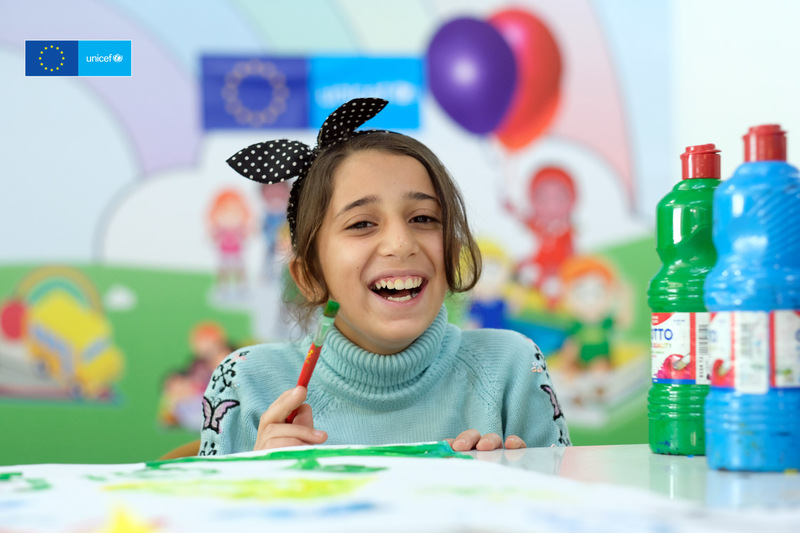 The EU Trust Fund is unique as it seeks to provide effective, fast and flexible funding to address ever-changing needs of children and families in Syria’s neighbouring countries.